Early bird entry (before 1st Nov) £20, standard £22 - includes Santa suit. Join hundreds of other Santas on a festive run through Battersea Park before relaxing afterwards with mulled wine and Christmas cake. No previous experience is needed for this fantastically festive day. Simply register online, turn up on the day, collect your free Santa outfit and tackle the 6km run. The spirit of the event is to be decided solely by the participants, meaning you can decide to walk, jog or run as fast or as slow as you like. It's not only a fun run and a good spectacle, the event also raises money for charity. If you've ever fancied a fun run through London whilst dressed as Father Christmas (and let's face it, who hasn't?) then this is the one for you. What are the best dining options near Santa Run Battersea Park London? Santa Run Battersea Park gyms, sporting activities, health & beauty and fitness. 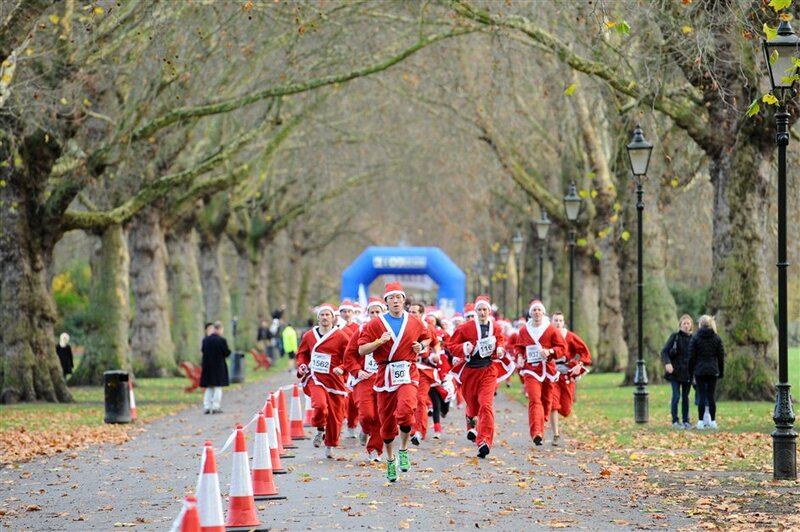 The best pubs near London Santa Run Battersea Park. Santa Run Battersea Park clubs, bars, cabaret nights, casinos and interesting nightlife. Where to have your meeting, conference, exhibition, private dining or training course near Santa Run Battersea Park. From cheap budget accommodation to luxury 5 star hotels see our deals for Battersea Park hotels, including Draycott Hotel London from 76% off.